Sitting on a bench in the Lan Su Chinese Garden, tranquility floods the air. It’s so quiet you can hear the fish splash in the lily pond and the breeze whistle through the bamboo. Although we’re in the middle of Chinatown, and there are many tourists of all ages here taking pictures on their smart phones and iPads, they move respectfully through the rooms and gardens. The brochure tells us that meditation, discussion and storytelling were popular activities in Chinese gardens. 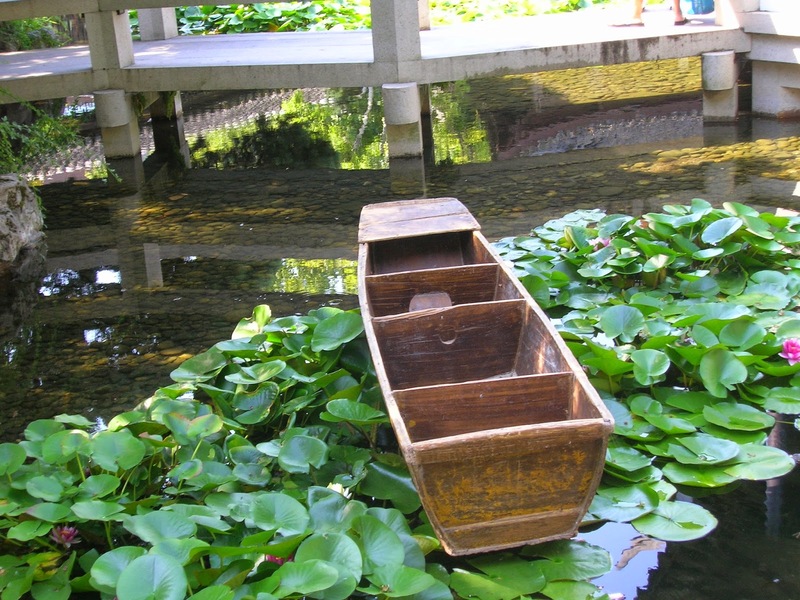 This garden was built by Chinese artisans from Portland’s sister city, Suzhou. Doorways and windows form views within views, the paths are paved with rock mosaics, and Lake Tai rocks rise up like sculptures throughout the garden. Plants range from bonsai trees to japonica, plum, bamboo, and silk. 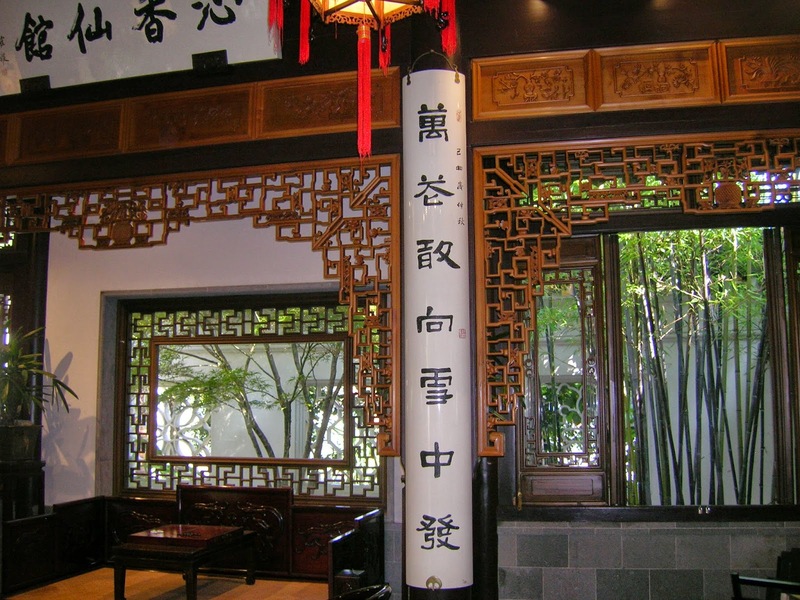 Inner rooms and terraces showcase Chinese paintings and calligraphy while soft music plays in the background. A teahouse offers a taste of Chinese tradition. Volunteers do much of the work at Lan Su. 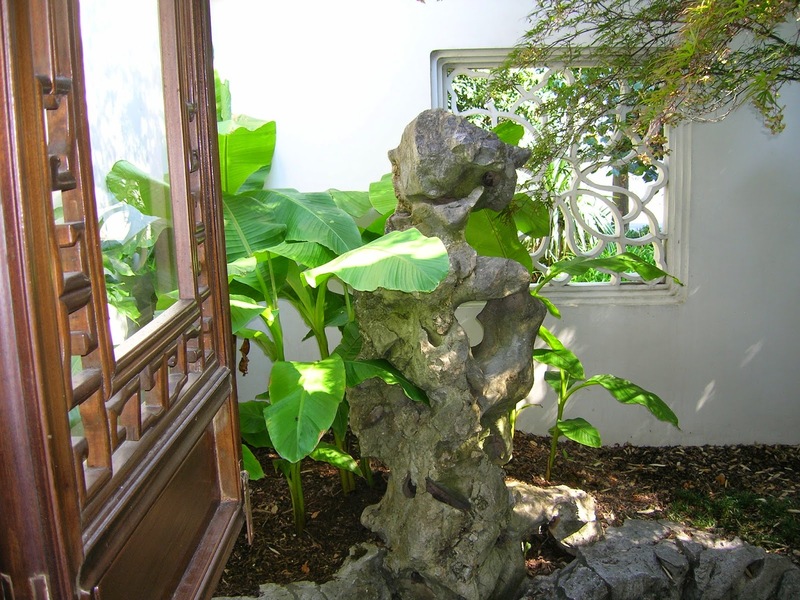 The garden, located at 239 NW Everett St., hosts many special events, including lectures, concerts, art shows and tea tastings. People rent space for weddings and other occasions. For more information, visit the website at http://www.lansugarden.org. In town on business, I stayed to see a little bit of Portland. From the garden, I drove south along the waterfront, looking for a spot to sit and write and relax. Ironically, I wound up at another garden, the Garden at South Waterfront Park. This too, according to the brochure, is meant to be a meditative space beside the Willamette River. Well, the garden is lovely. Lots of paved paths wind in and out of the plants, the brochure tells you what the plants are, and I found a great rock to sit on just above the water. Not far down the path, a young woman was already busy writing. I watched speedboats, sailboats, and a guy standing on a surfboard. I remembered a past trip to the Oregon Museum of Science and Industry just across the water. I relaxed on my rock and got out my pen. But this not a quiet, tranquil space. It was hot, about 90 degrees. An endless stream of people jogged, biked, and walked along the paths, half of them staring at their cell phones. From up the waterfront a ways, a rock band pounded the air with drums and bass. 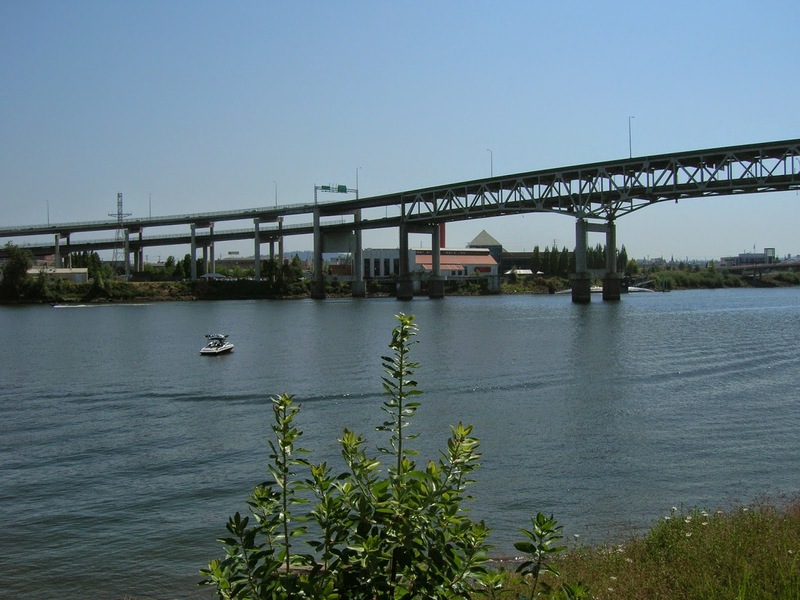 And because we were under two of the city’s main bridges, the Marquam and Hawthorne bridges, the traffic roar was so loud and constant I could not hear speedboats zooming by. Quite a contrast with the Chinese gardens and with the forest where I live. I retired to the cool dining room at the Lil’ Cooperstown Bar & Grill, where there were TV screens showing sports everywhere I looked, and the music was a little loud, but the food and the service were great. Portland has many faces. These are just a taste of those on the east side. I hope to explore many more parts of Portland in the future. What are your favorite east Portland spots?